This activity teaches STEAM concepts and mindfullness! Invite students to take doodling to new heights while developing skills in math, drawing, measuring, and design. 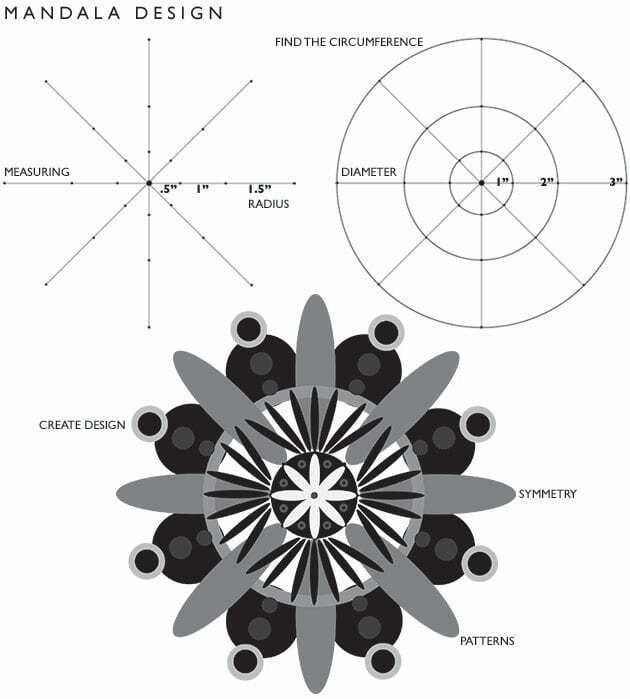 By making mandalas, students practice measuring and work on deciphering the radius, diameter and circumference of three circles, which they draw using their compasses, while creating a unique symmetrical design. The term mandala is derived from a Sanskrit word meaning “circle.” In some Asian traditions, the mandala is used to represent the world or the cosmos, and the making of mandalas can be a highly meditative practice. Each mandala has a different meaning and is unique to the artist(s) who designed it. 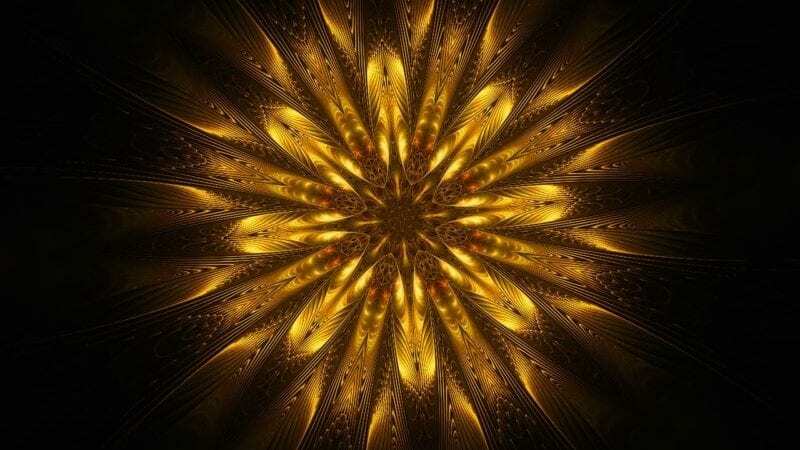 Mandalas can be spiritual or symbolic. This fun project allows students to express their creativity and individuality by incorporating their own design ideas. 1. Show your students one or more of these short videos about mandalas. b. 5 colorful mandalas drawn in 9 minutes with colored pencils. c. Using a compass, this Russian artist makes an intricate black-and-white mandala. 2. Have students make a dot in the center of their paper. 3. Next, ask them to measure 1/2″ from each side of their dot (see image): above, below, left, right and diagonally. They create a dot to represent their measurement. 4. Then they measure 1′ from their 1/2″ dot. 5. Finally they measure 1.5″ from their 1″ dot. 6. Once dots are laid out on the paper, students connect them! 7. Then they use their compasses to create 3 circles (connect the dots again). This is a good time to discuss radius, diameter and circumference! 8. Once their circles are laid out, students are encouraged to unleash their creativity to make designs within each “compartment” using their colored pencils. Students explore patterns and radial symmetry while creating their unique mandala design!